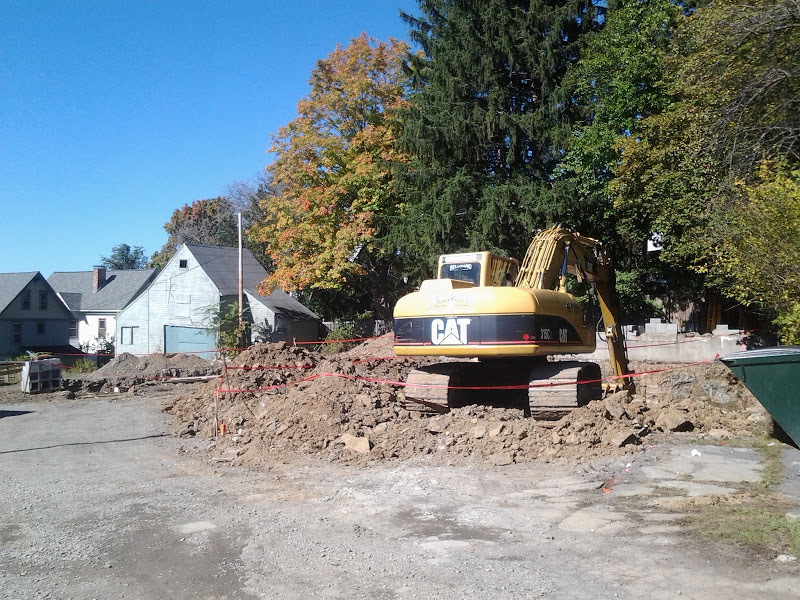 A new, small project to add to the list of projects underway, 804 East State has started construction on the fringe of Collegetown. The owners of the site, the Nestopoulos family of Ithaca, are building two modular duplexes, 4 units total, with 3 bedrooms each (12 total). The foundations have been dug for both duplexes, and form boards have been placed in the footprints of the west building. The concrete foundation gets poured into the form boards, and the boards help the concrete hold its shape while it cures. 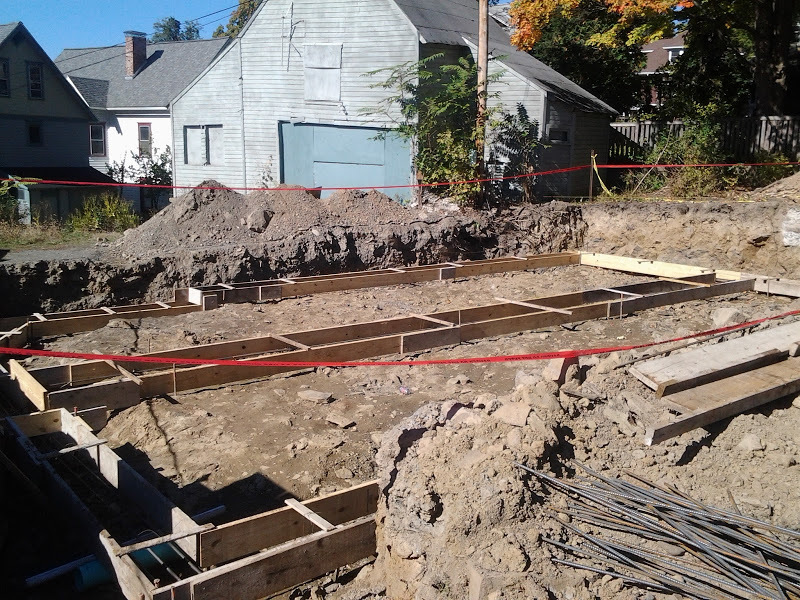 Looking closely, you can see a few steps in the wood forms, since the site is sloped, the concrete foundation will be stepped. The small wood sticks on top of the forms are spreaders, to provide extra stiffness. 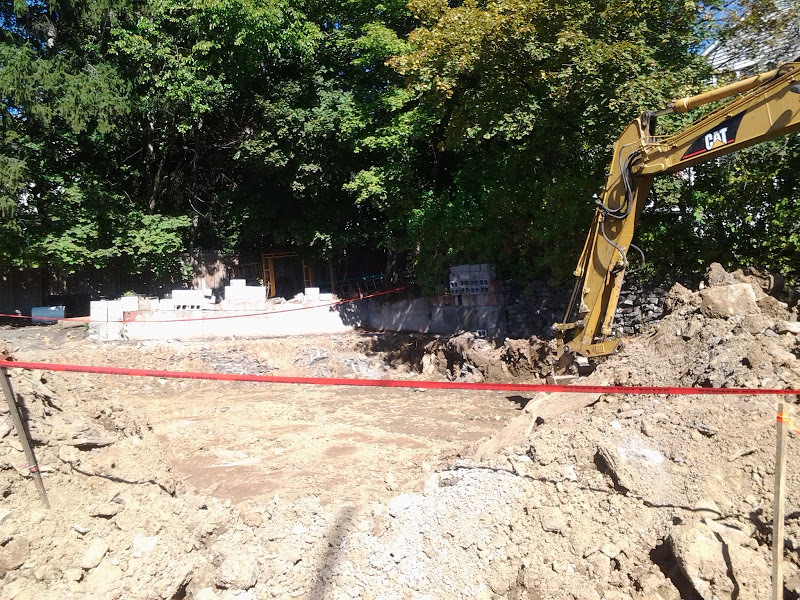 Once the forms are squared and levelled, the concrete will be poured in, levelled off and smoothed over. 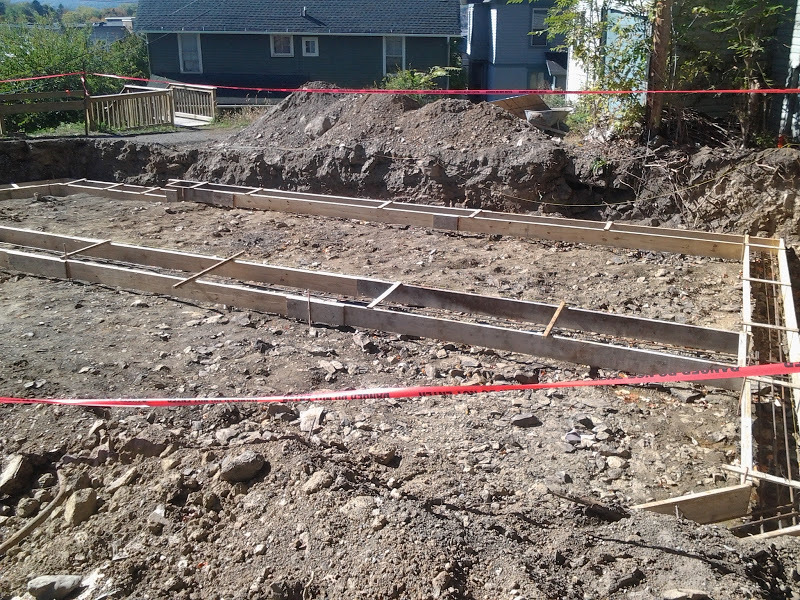 After a day or so, the forms can be removed, leaving the newly-finished foundation. 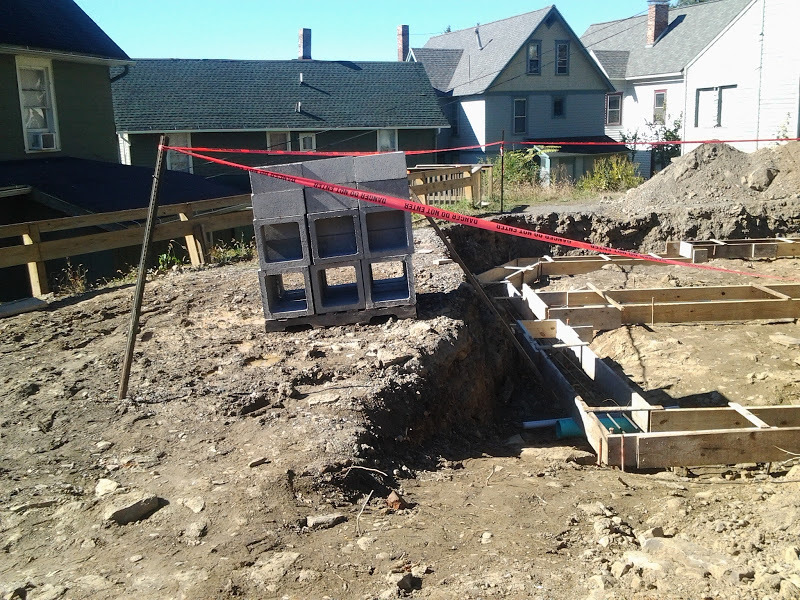 Once the foundation is ready, the builders can begin erecting the concrete masonry unit (CMU) walls, the hollow concrete blocks seen in the photos. The modular pieces will then be brought in, hoisted into place and sealed together, not unlike the process at the Belle Sherman Cottages. 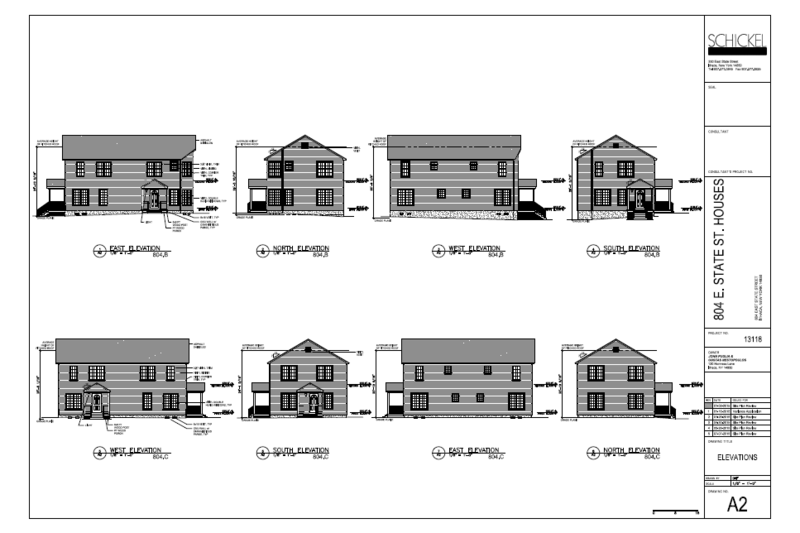 The plan is to have these completed by December 2015, with new occupants (likely students) moving in the following month. The project replaces a gravel parking lot. 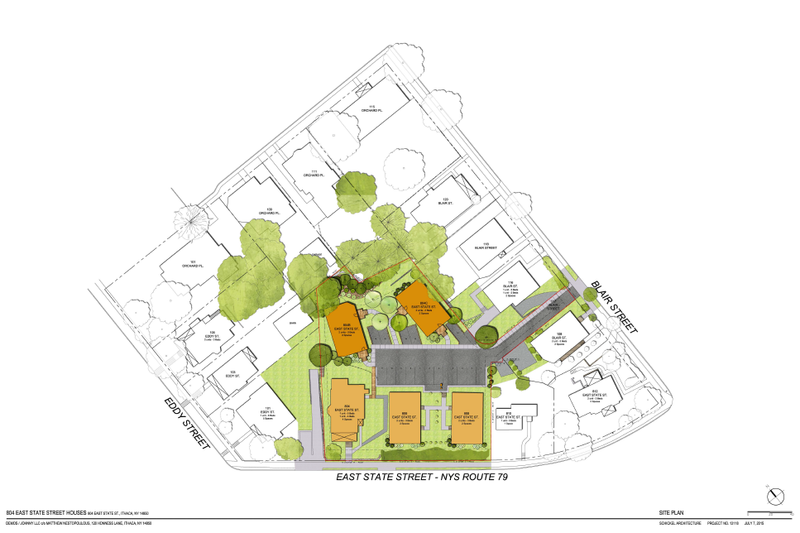 In an effort to appease neighbor opposition about the homes simple (and perhaps bland) design, the number of houses was reduced from three to two, they were oriented to minimize visual impact, parking was moved from below the units to surface lots, and extensive landscaping with an “outdoor room” is planned.